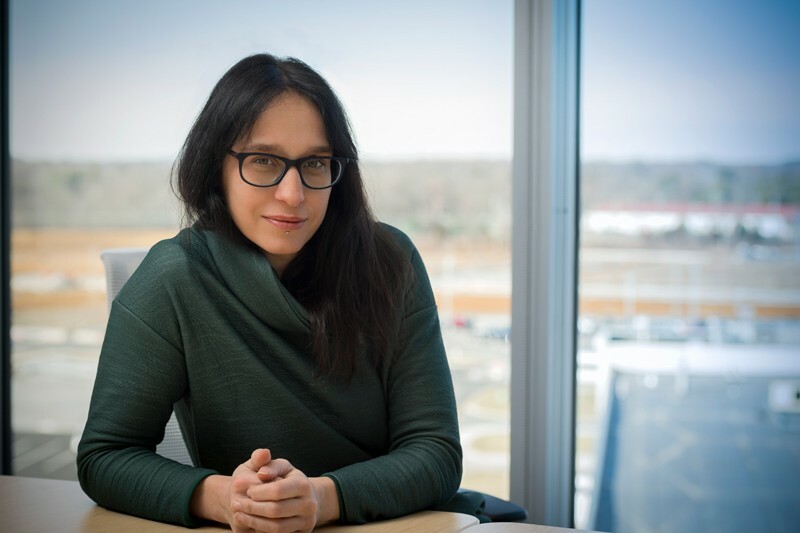 Physicists like University of Delaware Professor Marianna Safronova are continually working to improve the precision of atomic clocks, which keep time by measuring the frequency of vibration within atoms, tiny particles made up of protons, neutrons and electrons. Atomic clocks are used to synchronize many global systems and allow considerable research in physics and other sciences, too. January 24, 2019 - Article by Beth Miller UD photo by Kathy F. Atkinson, boxing photo by Terrence Hamilton Federica Bianco is one of 20 worldwide for 2019 Given the powerful intellect inside her skull, it’s a bit unnerving to watch a film of University of Delaware astrophysicist Federica Bianco at work in the boxing ring. No, that’s not a typo. November 13, 2018 - UD astronomers detect once-in-a-lifetime gamma rays. Scientists have discovered something amazing. In a cluster of some of the most massive and luminous stars in our galaxy, about 5,000 light years from Earth, astronomers detected particles being accelerated by a rapidly rotating neutron star as it passed by the massive star it orbits only once every 50 years. The discovery is extremely rare, according to University of Delaware astrophysicist Jamie Holder and doctoral student Tyler Williamson, who were part of the international team that documented the occurrence. October 10, 2018 - UD team says it’s time for a reboot Science is poised to take a “quantum leap” as more mysteries of how atoms behave and interact with each other are unlocked. The field of quantum physics, with its complex mathematical equations for predicting the interactions and energy levels of atoms and electrons, already has made possible many technologies we rely on every day — from computers and smartphones, to lasers and magnetic resonance imaging. February 22, 2017 - Star with seven possible Earth-like planets has UD connection. When NASA announced in a news conference Wednesday, Feb. 22, that researchers had found seven potentially Earth-like planets orbiting a star 235 trillion miles away, John Gizis, a professor at the University of Delaware, got a big grin on his face. Gizis actually discovered that star in 1999. “It’s extremely exciting,” Gizis said from his office in UD’s Department of Physics and Astronomy. “It’s a very small and cool dwarf star. May 18, 2018 - Electromagnetic terahertz (THz) radiation is a versatile tool for a wide variety of sensing technologies ranging from security systems to medical applications. Commonly, THz radiation is created using photoconductive switches and nonlinear crystals. Recently, it was shown that optical excitation of fast spin current pulses in magnetic materials may generate strong THz radiation from transverse spin transport phenomena.